The IHSAA conducted its blind draw to determine the Sectional first round match-ups in the annual Indiana HS Football State Tournament Sunday evening. 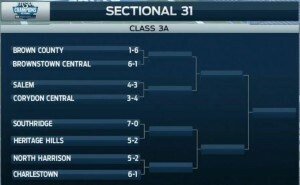 The Charlestown Pirates (6-1) will host North Harrison (5-2) in the lower bracket, to open Class 3A Sectional #31 play on Friday, October 21st at 7:00 PM (EDT). 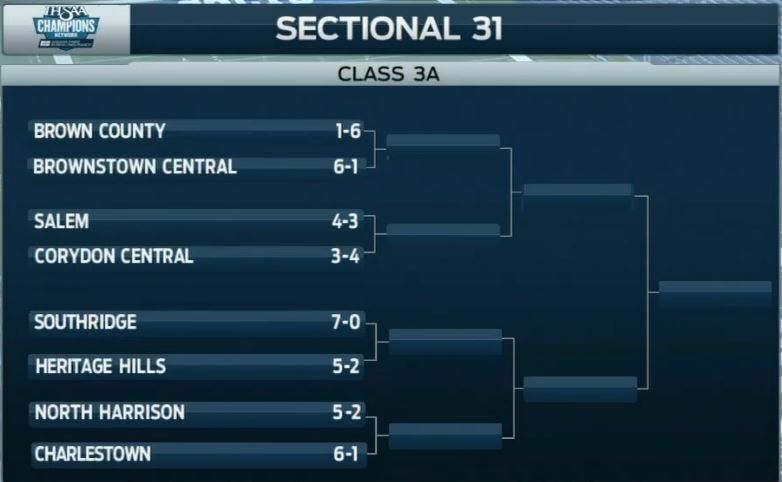 The remaining Sectional #31 pairings include Brown County (1-6) at Brownstown Central (6-1) and Salem (4-3) at Corydon Central (3-4) in the upper half of the bracket; and in the lower half of the bracket, Heritage Hills (5-2) at Southridge (7-0). For more information on the State Class 3A Football Tournament CLICK HERE; or for more information Pirate Football, go to www.PiratePride.BLUE/Football. For complete live coverage of Pirate Football in the 2016 State Tourney, follow Charlestown Pirate Pride Sports on Twitter at @CPPSB.